Lions fans had their spirits crushed with the Packers’ game-winning hail mary Thursday night, but let’s not be so quick to forget fate beating down Browns fans on Monday night with a game-ending kick-six. 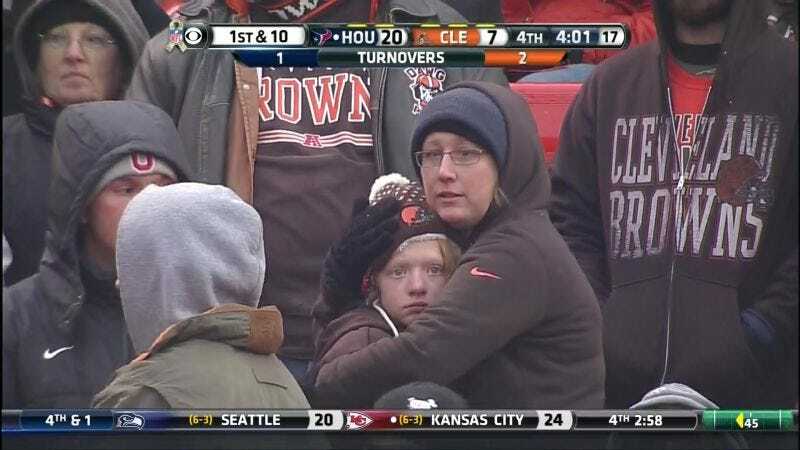 Charles Wulf used the loss as a prompt for his compilation of Browns lowlights set to Adele. What would be the running time of a comprehensive video of every Browns screwup? One hour? Two?